11 Ways To Be More Self Sufficient! These 11 ways to be more self sufficient are very important! Are you prepared for a natural disaster? If the power goes out for days and the grocery stores are shut down, will you survive? Or are you wanting to know how to live a more self sufficient lifestyle? Are you wanting to get back to a more simple and natural life? This list will help you to be ready for any disaster that Life (or the weather!) will throw at you! My family recently lived through a natural disaster! That disaster was hurricane Irma! I actually hand wrote this post in the week following the devastation that Irma carried up the state of Florida. We had no power, which meant no internet connection. So, there I was with a pad of paper in my sticky hot house writing by the light of the one generator powered lamp that was lit! My county was where hurricane Irma made land fall. We were ground zero and were directly on the eye wall on the right side of the storm (which is the worst side to be on!). Preparing for the storm was crazy busy and the storm itself was terrifying, but the worst part was the aftermath! The devastation was real! Power poles snapped in two, power lines down, homes flooded, trees lifted from the ground roots and all, it was insane! Fortunately, our home stood through it all. Our yard was a disaster and a tree limb fell on the corner of our roof, but our house was livable and all of our goats, chickens, our dog and our guineas were alive! Even the one chicken that refused to go into the chicken coop before the storm, was out pecking in the back yard eating bugs when the storm was over! We were so blessed to be safe and to have a home! But, we had no idea that we would be without power and water for so long! It took 9 days for the power to come back on! In some ways we were very prepared. However, going a long period of time without power showed us that we were not as prepared as we should have been! This brings me to my list! I have compiled for you a list of 11 things that you need to be completely self sufficient after a disaster! I want you to be more prepared than I was! Trust me, you do not want to be fighting the masses for gas, water, food and supplies when disaster strikes! 1. Have a generator or solar power! This is a must have if you want to be able to keep your refrigerator running, have any light after dark, or be able to charge your phone! Of course if your disaster is anything like hurricane Irma the cell towers will be down and your phone won’t work anyway! But it’s good to keep it charged for when they are back up and working. Or, if you want to be self sufficient all the time, and not just after a natural disaster, you could look into solar power for your home! Emily, from Acccidental Hippies, shares some great info on getting started with solar power! Fortunately, the generator was something we had! I can’t begin to tell you how much easier it made our lives! Now I know generators can be expensive, but if you can’t afford a large generator to power your entire house, then you should at least have one big enough to power your fridge! We have a Homelite generator. This seems to be a great brand. Even though our generator is really old it worked and ran steady throughout the power outage! Our generator was able to power two refrigerators as well as a lamp, and was able to keep our phones charged. I was also able to plug in things like our toaster as well. We also had a second generator that our neighbor loaned us that we were able to use to power a small window air conditioning unit and to pump water into our aerator tank. Now, a generator is great, but it won’t benefit you very much if you aren’t stocked up on number 2 on the list! 2. Gas cans and gas! Without plenty of gas, your generator isn’t going to work! We ran our generators during the day and turned them off at night. This required approximately 5-8 gallons of gas a day to run them both. Unfortunately, this was not something that we were prepared for! We only started out with one 3 gallon can of gas! Some gas was trucked in from upstate to the local gas stations. But the bad news was that you had to wait in lines of cars about a half a mile or more long just to get gas! Never again will we be without multiple cans of gas! And by multiple I mean a lot! 3. A hand water pump! This is another item we did not have to aid our survival after the storm! But I can promise you that we will next time the power goes out! We have well water on our homestead. Well water is pumped using electricity. So what do you think doesn’t work when the power goes out?! The water! Luckily we had filled up our bathtub before the storm and our aerator tank was full as well. And when that was about to run out our neighbor loaned us his larger generator that allowed us to pump water into the aerator tank. This gave us plenty of water to get bucket baths, flush toilets and wash hands and dishes, and to make sure that all of the animals had plenty of water to drink! If we hadn’t of had generators to pump up more water we would have run out! Which with four kids and goats is a scary thought! Next time I am determined to have a hand pump to provide us with as much water from our well as we desire! 4. Grill, campfire tripod, and a sun oven! When the power is out how are you going to cook food? If your generator isn’t large enough to power your oven (which ours is not!) or if you don’t have a generator, how are you going to prepare food for you family? Fortunately we have a barbecue grill that we were able to use to cook on. But, regular pots and pans can not be used over an open flame. Fortunately almost all of my cookware is cast iron! Cast iron is the ultimate outdoor cookware! I also use it indoors when we do have power for its versatility and health benefits. But in a power outage it is even more valuable as it is just about the only cookware that can be used over an open fire! If you would like to learn more about cast iron then read my post 10 Cast Iron Products and Accessories That You Need In Your Kitchen! If you don’t have a grill, or if you don’t have access to propane, then try a campfire tripod to hang your cast iron Dutch oven from! This is also handy for times when you go camping as well. And for the ultimate cooking experience, get a Sun Oven! The Sun Oven is a solar powered oven that will allow you to bake breads and cook your meals using the power of the sun. That’s right it requires no gas, no propane, just the sun! Which is not a problem here in south Florida (aka the surface of the sun!). As I mentioned above, I love cast iron. I use it almost exclusively in my kitchen. And, as I made sure to point out to my husband;), cast iron will save the day in the aftermath of a disaster! Cast iron is ultimate outdoor cookware! I actually used my cast iron pan on the grill after the hurricane to make grilled cheese sandwiches:) It was very convenient. It can also be used over an open fire, like I mentioned in number nine, with the use of the campfire tripod. Who needs a stove? I have cast iron! Number six is a particularly passionate topic for me! 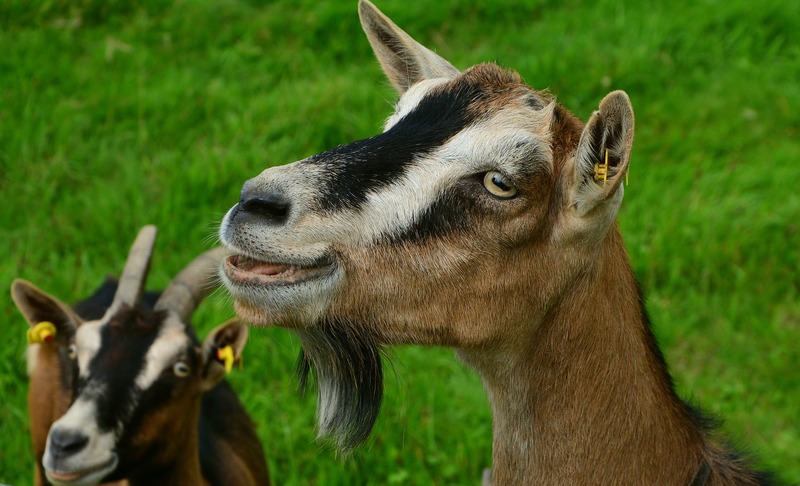 We own dairy goats which provide our family with fresh, raw goat milk year around. I use the milk to also make Goat Cheese, Goat Milk Buttermilk, Goat Milk Kefir, Goat Milk Ice Cream, etc. Not only are the health benefits amazing, and the quality and taste awesome, but producing your own dairy products is incredibly self sufficient! After the storm we had plenty of fresh milk! I told my husband that at least if we ran out of all of our food, we could survive on goat milk! And not just survive, but thrive! It is a great feeling, knowing that not only are you helping your family to be healthier, but that in times of need your family will not go hungry! If you would like to learn how to raise goats then definitely check out the Raising Goats For Beginners Course. It will teach you everything you need to know to care for your goats! You can check out the Raising Goats For beginners Course here! This course has step by step lessons, videos and PDFs for everything from feeding, milking, you name it! It will help you to raise your goats with confidence, as well as provide a group for personal help and support! We also have chickens and guineas to provide us with fresh eggs and meat during the recovery period after a natural disaster as well. So, no matter what happens, we will at least have milk, eggs and chicken to eat! I’m also very fortunate to belong to a family of hunters. This means that we always have meat in the freezer, as well as the ability to hunt in times of need. Number seven goes along with our last point. Not only can you provide for your family with food producing animals, but you can provide them with food by means of a garden as well! Unfortunately for me, because I live in southwest Florida (aka the surface of the sun! ), I do not plant my garden until the fall. Mid October to be exact. And, when did hurricane Irma strike? September! So, of course, I did not have any fresh veggies growing in my garden at the time. We do have several fruit trees: lime, mulberry, avocado (which unfortunately was snapped in half by what we believe was a tornado in the storm). 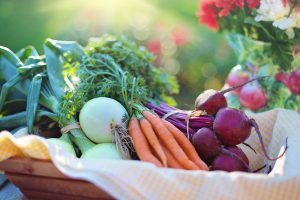 But, if you are able to have a garden to fall back on it will help to increase your food supply and to decrease your dependence on grocery stores. You can find important gardening tips here in my gardening section. Also, to be a self sufficient gardener, you need to know how to save your own seeds! Saving your own seeds will ensure that each year you are able to plant a new garden, even if you can’t find seeds to buy! My friend Christina from Little Sprouts Learning has a great post on how to save your own seeds! In addition to growing your own food in a garden, you can also learn how to forage for food! This is especially great if, like me, your garden is not producing at the time of a natural disaster! 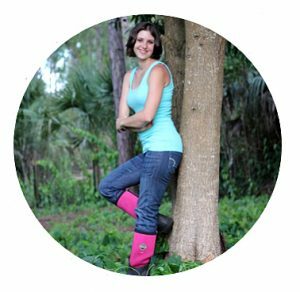 You can learn more about foraging from my friend Heidi at Healing Harvest Homestead! 8. Canned and Fermented Foods! Now, if I had been a good homestead housewife in the last few years, it wouldn’t have mattered so much that I didn’t have a producing garden at the time of the storm! 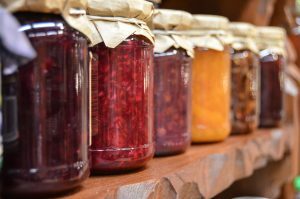 If I had spent the last few years canning fruits and veggies we would have had a steady supply of healthy canned foods to live on. The downside of not canning and of not having food producing animals, is that you get to fight the masses at the grocery store over food! You will get to stand in long lines. I visualize Nora Krank on the movie Christmas With the Kranks when she raced an old lady in the grocery store to get the last hickory honey ham and went crashing into a food display! It sounds comical, but trust me, people are vicious when it comes to food and water! It can be scary! Next hurricane season that will not be me! In addition to goat milk, chicken and eggs, we will have plenty of canned fruits and vegetables. You can find 140 of the best home canning recipes here, 75 of the best fermented foods recipes here, and 47 of the best dehydrator recipes here. This is something that everyone striving to be more self sufficient should have on hand. I buy organic spelt berries in six gallon buckets. It literally has a shelf life of a lifetime! With plenty of grain on hand, and your Sun Oven and cast iron, you can make bread, cookies, cakes, pancakes, you name it! I also keep one gallon buckets of oats, dried beans, etc. they last a long time and you will be so glad to have them when the shelves at the grocery store are bare! Before the storm hit I made a very large batch of granola using my oats and other tasty ingredients. It makes a great breakfast cereal when you pour fresh, cold goat milk over it! This is a must have to grind your grains that you have stored! If you have your trusty generator you can plug in your grinder and grind a large tub of grain in just a minute or two! To read more about the grain grinder that I use and love, read my post How To Easily Grind Your Own Flours At Home! If you don’t want to rely on a generator you can get a hand grinder. Even though it is more time consuming and tedious, I would like to have one on hand, just in case. But as long as you have access to a generator you can use an electric grinder. This is the grinder that I have used for more than ten years, and it’s still working as good as the day I got it! You definitely need this because in order for your grain to have a long shelf life it must be whole grains. If you just buy lots of flour to keep on hand it will go rancid and bugs will find it. So definitely get whole grains and invest in a grain grinder! This might be last on our list but it’s certainly not least! In fact, this is one of the most important! What good is food and water if you are sick and have no access to a doctor? As an Aromatherapist I always have my oils on hand, and this hurricane proved how valuable that is! My son, who is very allergic to ants, got a nasty bite on his leg after the storm. It swelled up and was hot to the touch. I immediately layered Helichrysum and Cypress essential oils on it and his leg was better in no time! Also, a day or two into our adventure with no power, I noticed that my eye was starting to hurt. I could feel a stye coming on. So I immediately started applying my oil blend that I make for eye issues and the discomfort quickly subsided. I tell you what, things always happen at the worst times! Read my post 7 Essential Oils That You NEED To Have In Your First Aid Kit to find out the main oils to have on hand in times of disaster. 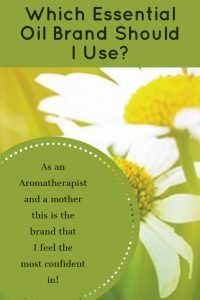 Also, check out my Essential Oil section to read more about the essential oils that I recommend keeping on hand and recipes of Blends to make with them. If you would like to find out how you can buy amazing, high quality essential oils at discounted prices, please read my Essential Oil page. It will give you all the info that you need. These 11 items will make any natural disaster, power outage, or self sufficient life easier and healthier, while helping you to keep your sanity! Do you have any items to add to the list? Please comment below and let me know! I am always on the lookout for additional ways to make living a self sufficient life possible! Disclaimer: The information provided on this site is for educational purposes only. I do not prescribe, diagnose or treat any medical conditions. Please consult your health care provider before implementing any of the information provided on this site. You can read my full disclaimer here. This is by far the first self sufficient blog I read completely. I appreciate you getting to the point quickly. I enjoyed the essential oils the most. I will save this information and use it often. Thank you. For coffee drinkers an iron expresso coffee maker. Or portable one. That would be a great idea! I’m probably going to be adding additional items to the list or creating a second list, so I will definitely add that! For those that don’t have their own well, I’d suggest storing water along with water filters. That is a great tip Michelle! Thank you! When I update the post or write a sequel I will be sure to add that tip in!